Overland travel in North America is quite different from the rest of the world. The United States and Canada is a vast expanse, complete with extreme technical difficulties; however, there is also significant safety and infrastructure, along with 80-mph highways. While the idea of driving a diesel Defender 110 is certainly exotic, the majority of travel does not require that type of simplicity and field-serviceability. As a result, most SUVs for North America (NAS) are complete with higher-horsepower engines and suspensions designed to travel safely at high speeds and over long distances. While I can certainly respect the desire to pilot a 110 through the desert southwest, it is surprising how much better suited an LR3 (Discover 3) is for the task, even matching or exceeding some of the technical terrain performance of the much lauded and loved Defender. 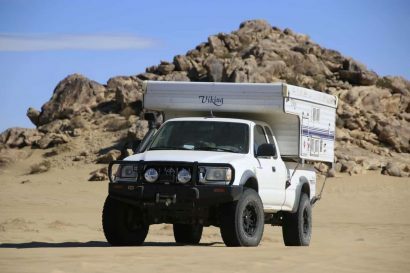 With the LR3 becoming more affordable and overall reliability exceeding expectations, we take a look at a nicely appointed example from Front Runner Expedition Outfitters. 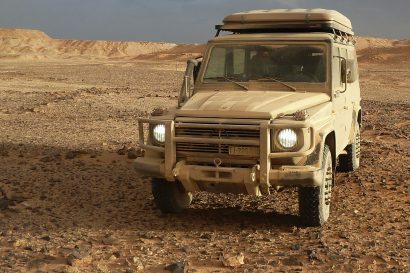 Front Runner is based in South Africa, an environment that certainly tests the suitability and durability of equipment for overland travel, and their market also shares the LR3 / Discovery 3 with the United States. These vehicles are becoming more popular as comfortable and capable exploration platforms, so Front Runner has responded with a broad range of new accessories. 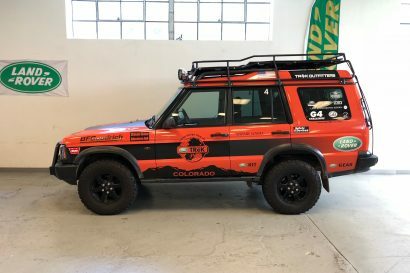 The owner of this particular LR3 is Tina Payne, Director of Front Runner USA and daughter of Front Runner founder and global adventurer Stanley Illman. 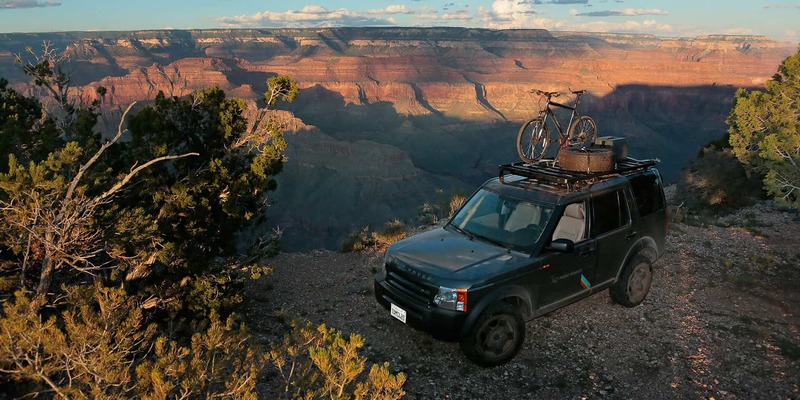 Tina wanted the LR3 to be capable for long-distance exploration into the desert Southwest and Baja, Mexico, but still prove appropriate for the daily commute. As a result, the systems are quite modular and the vehicle configuration can change easily from trip to trip. Tina wanted her Land Rover to perform in technical terrain, so with a few modifications shown here, the LR3 is ready for most travel challenges. Tina has traveled throughout Africa, and her driving acumen is impressive. With the aggressive 265/65 R18 BFGoodrich All Terrain tires and the LR3 in Off-Road mode, she easily negotiated the obstacles on our recent trip to the Grand Canyon. A front aluminum skid plate protects the bottom of the bumper. It took one good hit on a berm and survived. The LR3 is particularly well suited to long stretches of gravel roads, like this one through Valley of the Gods in Southern Utah. The Land Rover is stable and comfortable. If the trail degrades, a push of the button lifts the LR3 over 2″ above stock ride height for additional clearance. Tina installed Johnson Rod arms, replacing the factory suspension height rods and providing 2.25″ of lift over stock. The LR3 is a stable platform with a wide stance and low center of gravity. As a result, the vehicle can take greater roof loads than most 4wds. Tina moved several items to the roof for ease of access and to free up interior space. The LR3 / LR4 Ladder is robust solution and allows easy access to the rack. The new Front Runner water tank is an impressive piece, certainly one of the most notable new products in the overland market for 2013. The rack system compliments the LR3 and keeps the overall profile low. Tina uses the interior drawer system as the baseline for storage. The drawer system installs easily and still allows access to the spare tire crank. Lashing points permit installing water tanks and Wolf Pack boxes. Tina installed a 60L water tank just aft of the rear seats. This keeps the weight as far forward as possible. The kit comes with a long hose that allows access to the water for camp duties. The water hose secures with a small stamped bracket. Drawer systems can be heavy, but they really improve access and efficiency getting to camping equipment. Overall, Tina created a clean and competent package, addressing her primary travel needs, but not overloading the vehicle or making it impractical for daily use. Tina wanted no compromise in accessing campsites like this one on the edge of the Grand Canyon. The vehicle needed to be capable enough to take rough roads and still run 80mph on the highway.